In a newly published article in Nature, a group of prominent scientists and ethicists have called for a moratorium on clinical research using CRISPR/Cas9 gene editing. This moratorium deals with the use of CRISPR/Cas9 gene editing of the germline — changing heritable DNA in sperm, eggs or embryos to make genetically modified children. The document was signed and authored by a number of prominent ethicists and scientists, including CRISPR pioneers Emmanuelle Charpentier (one of the co-discovers of the CRISPR/Cas9) and Feng Zhang (one of the first to use CRISPR in human cells), as well as geneticist Eric Lander and bioethicists Françoise Baylis and Jing-Bao Nie. This is a contentious point, as the word moratorium has been used sparsely by the scientists involved in this research. Many of the signatories have, however, been vocal about their views on germline gene editing in the past. By asking for a global moratorium, the signatories do not mean a permanent ban, but rather, a temporary one — to allow for the development of an international governance framework surrounding human germline genome editing. Specifically, they suggest a five-year moratorium, a period of time sufficient to allow critical conversations and stakeholder engagement. Importantly, they are not calling for a unanimous decision among nations either. Countries would be allowed to come up with their own regulatory framework considering the ethical, scientific, technical and medical considerations of CRISPR/Cas9 germline gene editing. CRISPR/Cas9 gene editing has moved forward at unprecedented speed since CRISPR was first used in human cells in vitro in 2013 to claims of the birth of the first germline gene-edited babies in 2018. This is very concerning, especially when the medical need and social risks are still being debated and the safety and efficacy of the treatments are still largely unknown. In our view, what the authors of the recent Nature editorial are asking for is Slow CRISPR Science. Slow Science — a response to the increasing speed and corporate interest driving the scientific endeavour, and the “publish or perish paradigm” — was built on concepts of the Slow Food movement. Slow Food was a direct response to Fast Food, a system in which the environment, people and economies were often jeopardized at the expense of corporate interests that ostensibly provided quick and easy meals. Ideally, the Slow movement is not calling for “less productivity or efficiency” but for more thoughtful and engaging work be done in the food industry and in science. In terms of gene editing, moving slow would mean perfecting non-heritable gene-editing techniques in patients before attempting ethically charged and technically more difficult heritable gene-editing clinical trials (which appear to be driven by profit or the need to be first, rather than societal need or the common good). Slow CRISPR science would allow for proper consultation with appropriate stakeholders and the public before making the decision to move forward. Scientific communities are not in agreement on the issue of a moratorium. In fact, a commentary published in Science in 2015 pushed for “a prudent path forward” and discussed what steps should be taken to ensure ethical and safe use of this technology. However, the word moratorium was never used in this document. Further, many of the authors of the 2015 publication have shied away from a moratorium, with much of the organizing committee of the 2018 Human Genome Editing Summit (many of whom were also authors on the 2015 Science article) suggesting a “translational pathway” based on “broad scientific consensus” on human germline genome editing. This is in direct conflict with the language in the concluding statement of the 2015 Human Gene Editing Summit that considered germline genome editing “irresponsible” until relevant safety and efficacy concerns were addressed and “broad societal consensus” was achieved. Ultimately a period of time to pause and reflect would allow for citizens in each nation to have the important conversation of whether their society condones germline genome editing. Each society has to decide for themselves if the rewards outweigh the risks, informed by science but not dictated by it. For Canada, the moratorium will have little effect on CRISPR research activity as germline gene editing of embryos is already banned under the 2004 Assisted Human Reproduction Act. Clearly the stakes are high, and missteps in the early applications of CRISPR to human health may result in an all-out ban on this technology, which holds such incredible promise for alleviating human suffering by curing genetic disease. Therefore, a prudent step in our view is to temporarily press pause on germline gene editing to allow deeper contemplation of the risks and benefits. In essence, this is what these scientists and ethicists are calling for in their proposed moratorium. They are requesting time to pause and reflect. Time to conduct the appropriate consultations with relevant stakeholders, and (very importantly) the public in an attempt to achieve broad societal consensus. And finally, time to develop the most robust and precise gene-editing tools so that when we use CRISPR/Cas9 to rewrite the source code of humanity, we get it right. 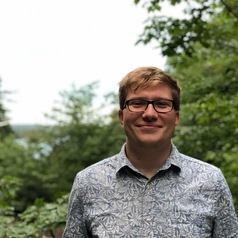 Landon J Getz receives funding from the Natural Sciences and Engineering Research Council of Canada. Graham Dellaire receives funding from the Canadian Institutes of Health Research (CIHR).